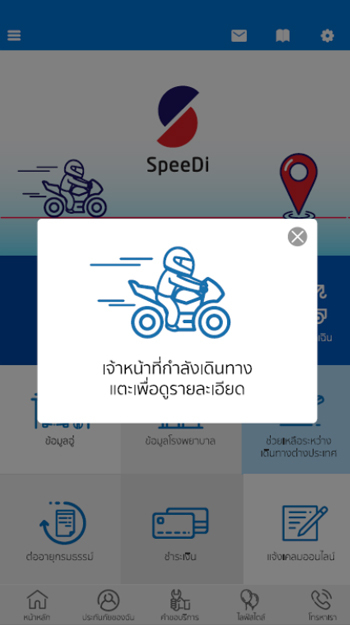 THAILAND, 28 April 2017 – Continuing its digital transformation, MSIG Insurance today launched MSIG SpeeDi, an innovative mobile app for motor claims, in Thailand, as part of the company’s commitment to provide an enhanced and seamless digital experience for the connected customers of today. MSIG SpeeDi provides a suite of functions and services, at the touch of a button, allowing customers involved with motor accidents to report and receive assistance within 60 seconds, have a motor surveyor on-site within 30 minutes and easy access to contact information of contracted garages, hospitals and dealers nationwide. Through its consumer insights, MSIG Insurance found that motorists commonly feel at a loss when an accident happens and such experiences could be daunting for many. 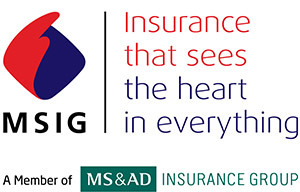 MSIG Insurance serves to eradicate their worries and be with them every step of the way, should customers get involved in motor accidents, with the launch of MSIG SpeeDi. “Service excellence and customer satisfaction have always been at the core of the company. This vision has also been driving MSIG’s digital journey for the past five years. We are constantly innovating to meet customers’ needs in today’s digital world and are excited to launch the MSIG SpeeDi app that serves to take away the worries of motor accidents or claims. This is just the start of a series of exciting innovations that customers can look forward to,” said Alan Wilson, Regional CEO, MSIG Asia. 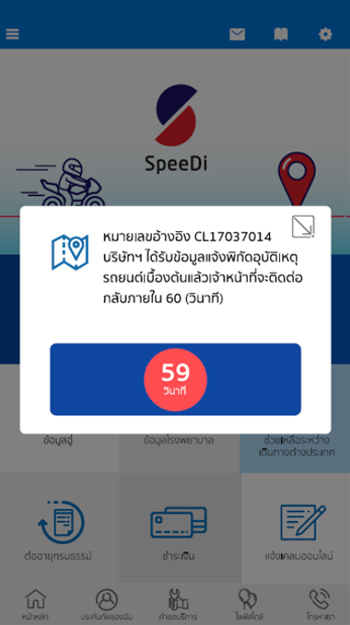 Dedicated assistance within 60 seconds: Instead of having the customer call through to the hotline with the chance of being put on hold, MSIG SpeeDi has a unique function where motor claims can be reported with just the push of a button. A dedicated MSIG staff will call the customer back within 60 seconds to provide assistance while help is on the way. Arrival of motor surveyor on scene within 30 minutes: Once a customer contacts the 24-hour motor claims hotline, MSIG will locate the customer’s exact location via GPS coordinates. 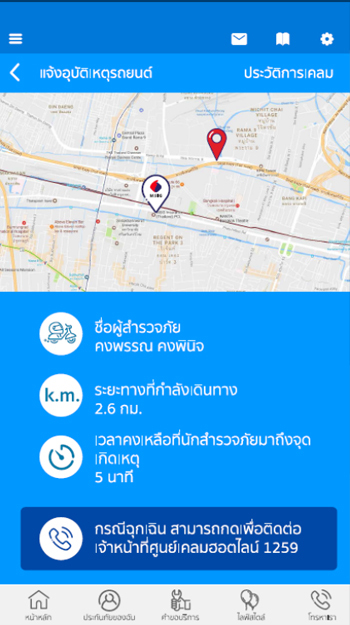 An MSIG Motor Surveyor will then be dispatched to arrive on scene within 30 minutes within Bangkok Metropolitan. MSIG SpeeDi, which is integrated with MSIG’s in-house Motor Surveyor System, will also enable customers to track the surveyor’s location via GPS. In-house surveyors: MSIG understands the importance of speed and efficiency, especially during times of motor accidents. Therefore, it has engaged its own fleet of motor surveyors, who are trained in-house, to be dispatched during times of need. In contrast to surveyors who are outsourced, MSIG Motor Surveyors are able to arrive on scene quicker and provide comprehensive service. 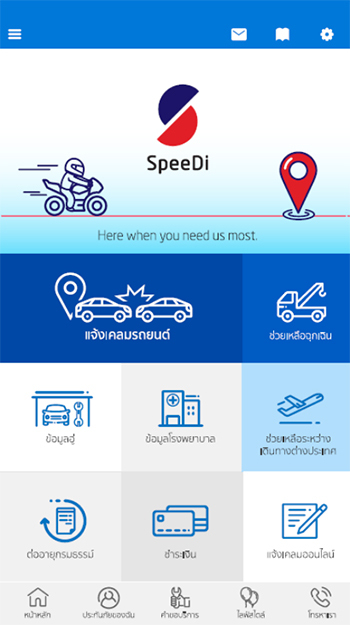 Wide network of contracted partners nationwide: MSIG SpeeDi serves as a one-stop app for customers to get all the necessary help that they need, including a list of contracted garages, hospitals and dealers nationwide for better convenience. A built-in navigation system also helps customers to find the fastest route to selected partners. Apart from the above benefits related to motor claims, customers can also look forward to added convenience with the MSIG SpeeDi app such as in searching for insurance information, claims history or even to renew a policy.